The 4ft. LED tube glass of 20W with a frosted cover available in 5000K color temperature and having a CRI of >80 can deliver lumens up to 3000. This product can easily replace T8, T10 & T12 fluorescent tubes of 50W and bring an energy-savings of 30W. Thus, a lower utility bill for you every month. This 20W tube is ballast compatible and it’s just that you need to check with the manufacturer for the ballast compatibility list. 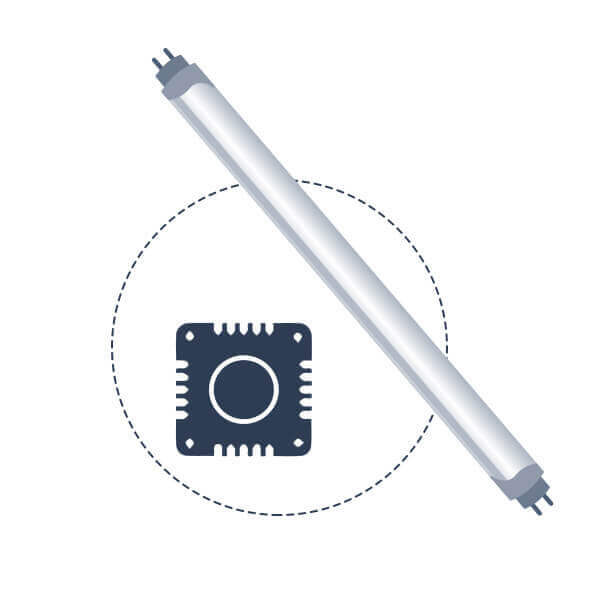 These 20W LED tubes are housed in rugged die-cast aluminium for an efficient heat dissipation. 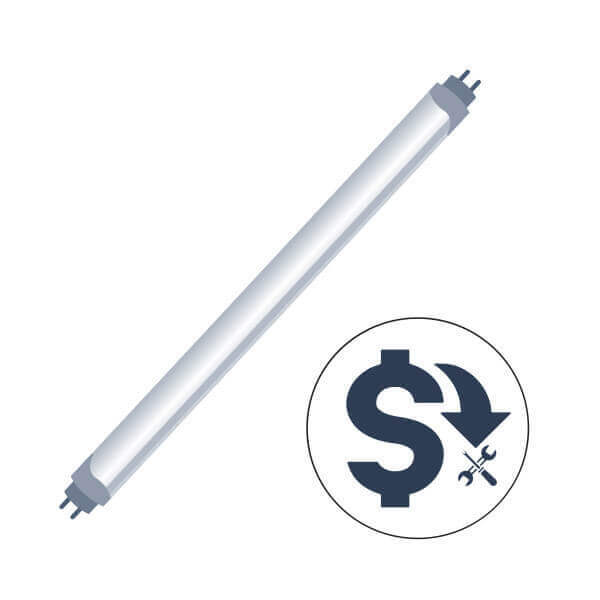 For the standard ceiling height, these LED Tubes having a beam angle of >120 degree emit enough bright light, have a long lifespan and have a shatterproof coating unlike the fluorescent tubes that were of inferior light quality, typically low lifespan and usually with no shatterproofing. One of the best things about LED tubes from LEDMyPlace is they are UL & DLC listed, these listings make you eligible for handsome rebate along with 5 years of warranty. Instant Start: In extreme contrast with fluorescent tubes, the 4ft. 20W LED tube glass operates without any flickering or buzzing when it starts. 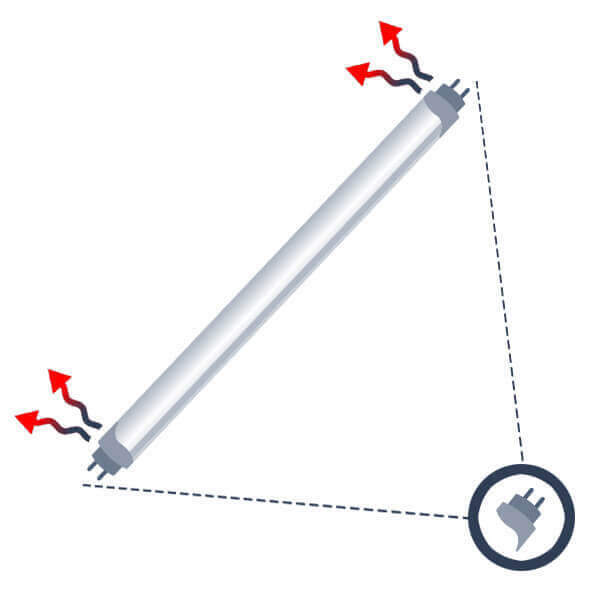 Better Thermal Management Than The Conventional fluorescent Tubes: The LED tube unlike the fluorescent tube does not warm up so often and hence does not require cooling down. In places where you need consistent lighting throughout the day and night, fluorescent tubes will not work and LED tube then is the best choice. 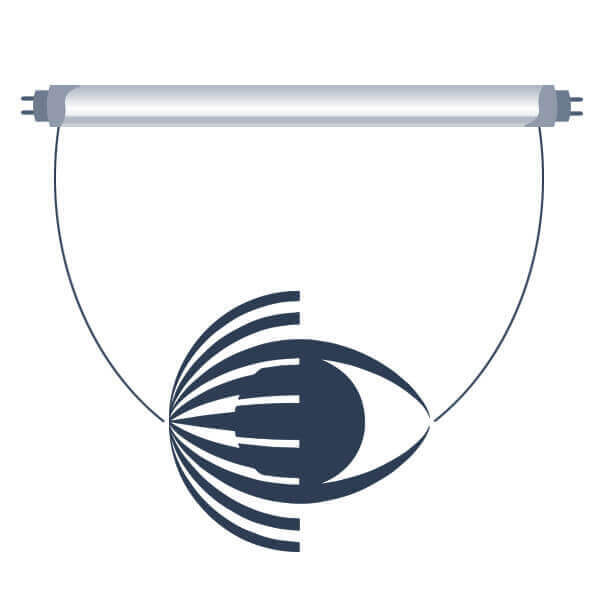 Easy To Install, Easy To Operate & Maintain: It can not get easier than this that whether it’s an existing T12 magnetic ballast or a T8 electronic ballast, you just need to take out the old fluorescent tube and put this 20W LED tube in its place. A hassle-free installation that it is, it does not take much time to install and hence a good option particularly for homeowners. Though the post-installation may require a bit of maintenance especially if the ballast fails at any point intime and you will need to replace the ballasts. But it shouldn’t be too difficult. Rebates & Incentives, 30 Days Return Policy & 5 Years Of Manufacturer’s Warranty: If however you are not satisfied with our product, you have a 30 days return guarantee from us. We provide 5 years of risk-free warranty along with rebates and incentives that you might be eligible for when purchasing this tube. The LED tubes that can work with the existing fluorescent tubes do not need any change in circuit for power supply and hence it is easy to install such LED tubes. 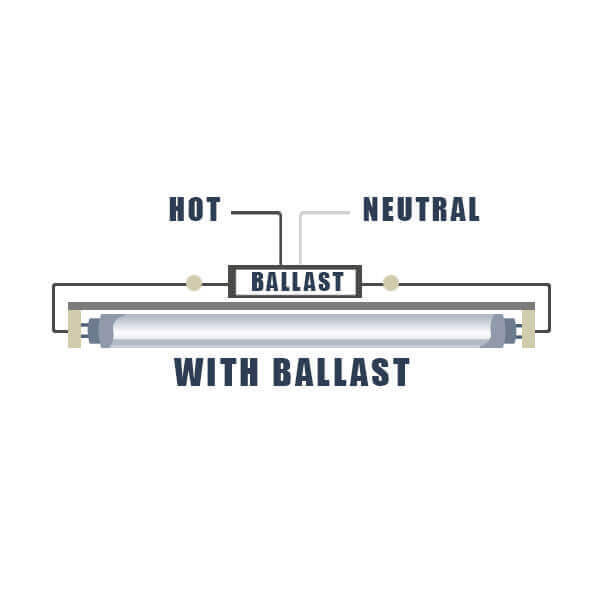 But, you just have one disadvantage with such ballast-compatible LED tubes and that is -- the ballast consumes extra power and if the ballast fails, you will need to undergo through ballast replacement in the event that it fails. You need shunted sockets for plug-and-play. 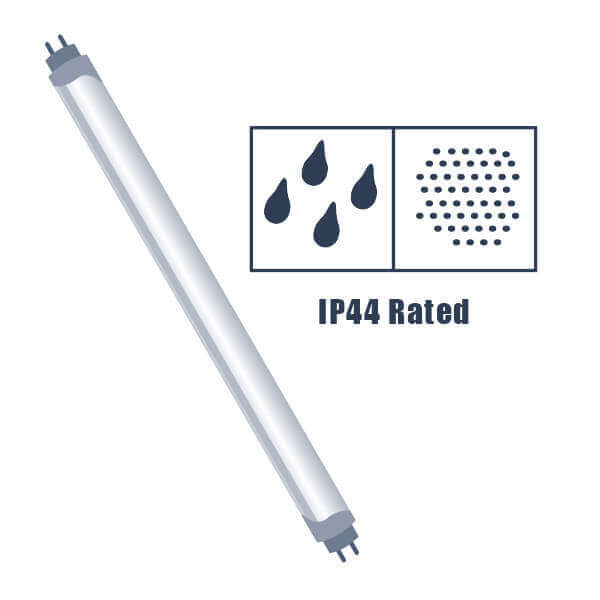 The LED tubes that are either clear or frosted have an IP44 rating. 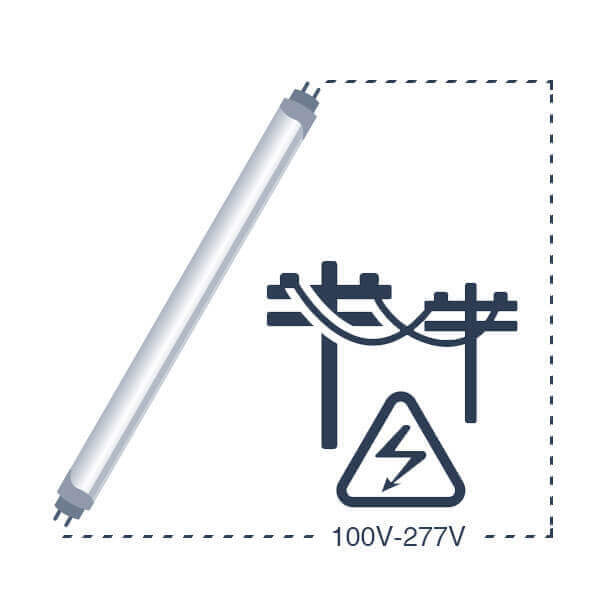 This rating signifies that our LED tubes are protected against dust-tight (objects in the dust that are of size more than 1mm) and protected against water-ingress from all directions. For such reasons, LED tubes are safe for use in areas where there is moisture and water. E.g. Bathrooms, kitchens etc. 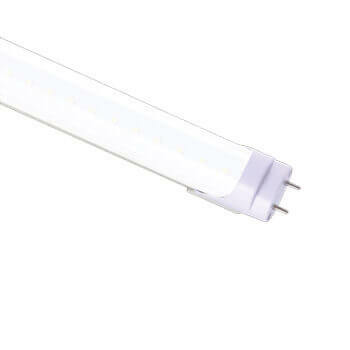 The LED tubes accepts an input voltage of 120V-277V. You can go for a waterproof transformer in case you don’t have this voltage and wish to convert this voltage range to some other. The LED tubes will require low or no maintenance if you are going for a ballast bypass option of LED tube installation. 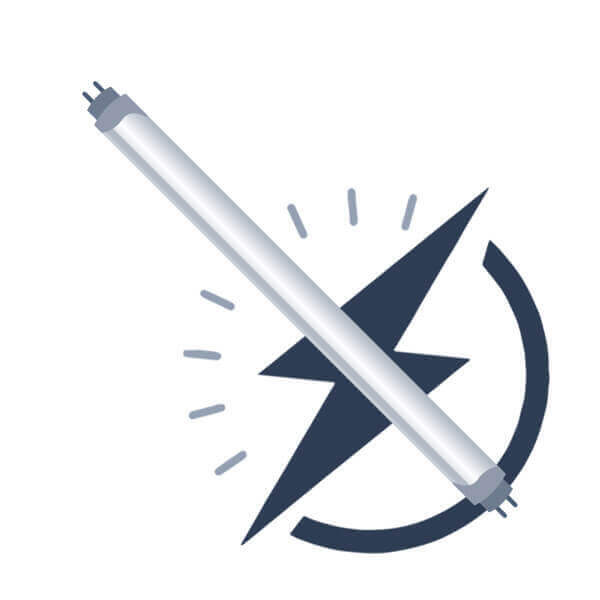 Though not very frequent, but you may have to replace the ballasts once in the total lifetime of LED tubes, if you are going for ballast compatibility option and hence you will have to bear with slightly higher maintenance costs when choosing the former option. 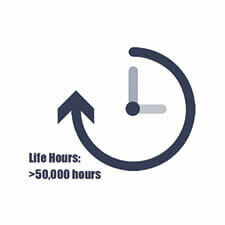 The lifespan of LED tubes is no less than 50,000 hours or 5.7 years, if the tubes are operated upon for 24 hours a day. Can last longer, if the tubes are kept ON for only 12 hours a day. 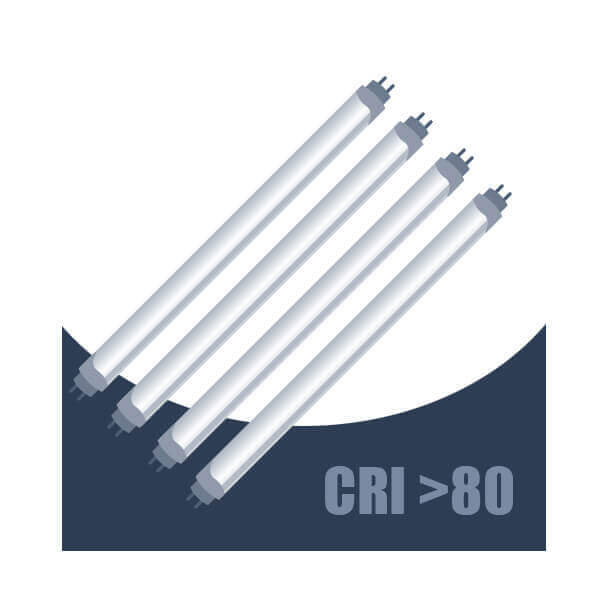 The CRI being greater than 80 for LED tubes, whatever object comes in the light distribution range appears to be real and natural up to 80% extent on a CRI scale of 1-100 and as it would have appeared in the natural light. 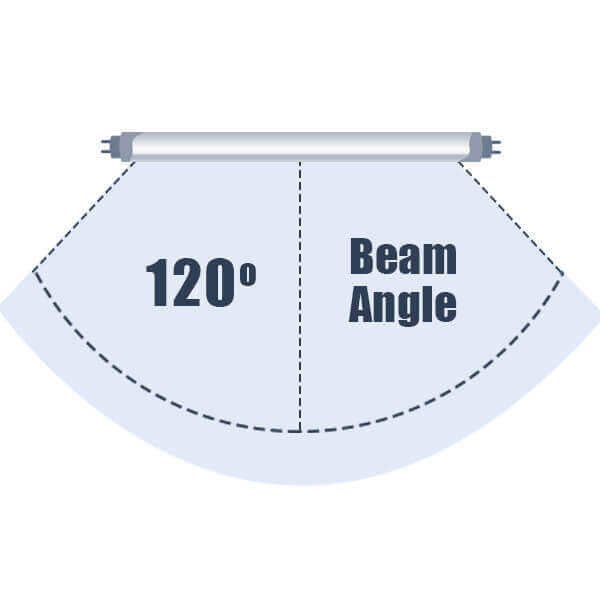 The 120 degree or ultra wide beam angle is made use of when large areas need to be covered. All our LED tubes whether clear or frosted have a 120 degree beam angle. The LED tubes can save energy up to 75% in extreme contrast with fluorescent tubes that consume lot of energy to bring you a higher energy bill. We highly recommend going for our LED tubes that are an excellent combo of lumen brightness and energy-savings. The LED tubes have a big heat sink made of aluminium and that’s a pretty good reason as to why the LED tubes don’t warm up too soon to be in consistent operation. This is in extreme contrast with the fluorescent tubes that warmed up too soon and required cooling down to operate efficiently. Embedded inside the LED tube is a high quality standalone chip -- SMD LED -- made from many number of chips to ensure high performance and reliability. 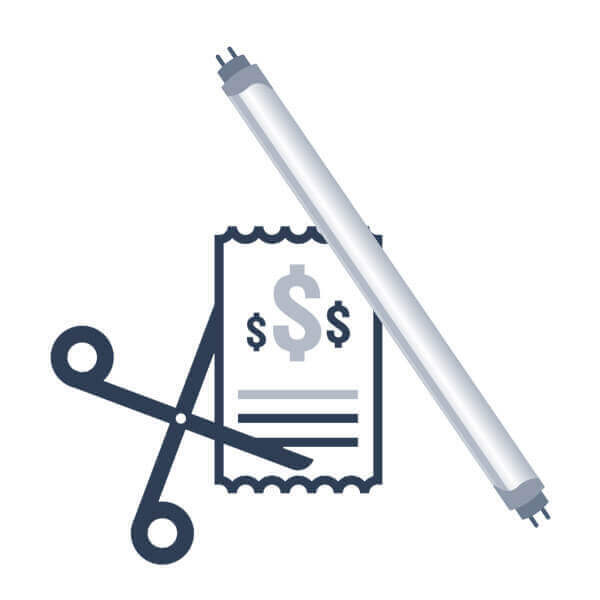 The LED tubes were one of the first LED lighting products to have become rebate eligible. All our LED tubes are DLC approved to make you eligible for rebate. Received my 4' LED fluorescent replacement bulbs today promptly, shipped safely. Installation was a snap and they look great. I presume that the lifespan is longer and will be ordering more as I identify the need.